BadWolf is a fresh band from Johannesburg created purely to rearrange top 40 and other highly recognisable songs with a hip, groove based approach. BadWolf takes everything from Etta James’ classic “At Last” to Taylor Swift’s “Shake It Off” and everything in between. BadWolf hosts some of South Africa’s young stars. 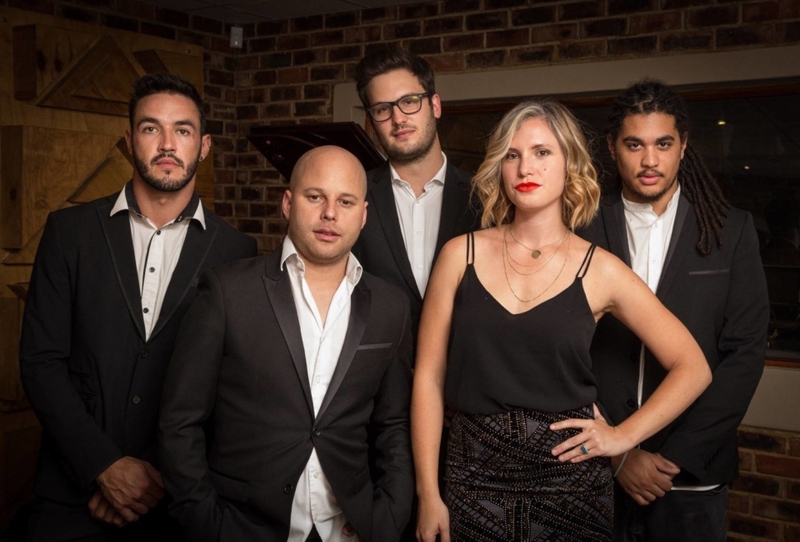 Hannah Foster has created a name for herself as one of the most talented vocalists, Cameron Bruce, Idols finalist in 2009 as well as guitarist for 80’s superstar, Jennifer Rush. Together with Justin Badenhorst (Drummer for Elvis Blue) and Benjamin Jephta (renowned SA Bassist) holding down the rhythm, each song is sure to be tight and groovy. The cherry on top is their fantastic Trumpet player, Neil Engel, who adds a touch of elegance and class of BadWolf’s sound. All round BadWolf is a great band for any event, function or wedding with their constantly updated repertoire and having the versatility of 2 vocalists they are sure to make your event!